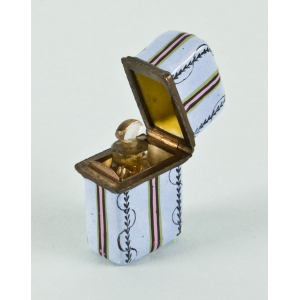 Summary: Scent bottle case, enamelled in powder blue and painted in enamel colours with green, pink and black stripes. 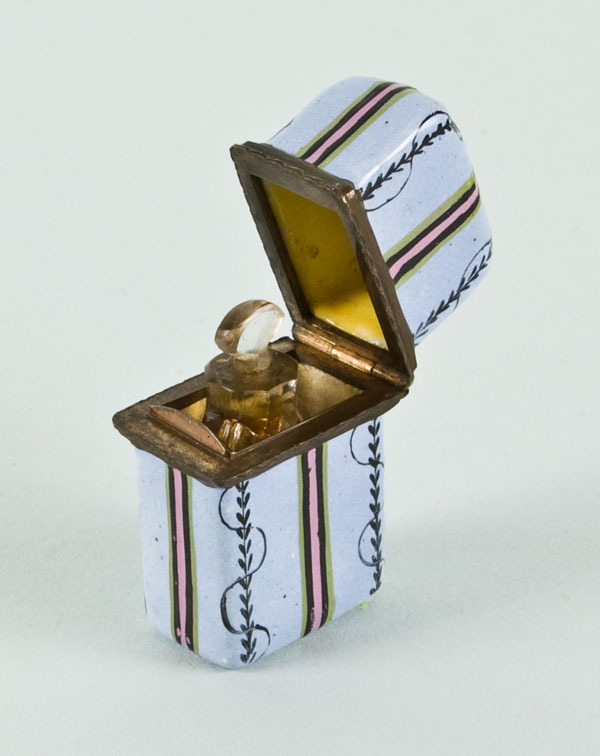 Description: This enamel box was created to protect the small glass scent bottle stored inside. It was made in Bilston around 1780 and is enamelled in powder blue. A simple decoration has been added in enamel colours in the form of green, pink and black stripes and delicate black leaf sprays. Damage on the lid reveals the copper base underneath the enamelling.